David Blatt is a championship NBA head coach. 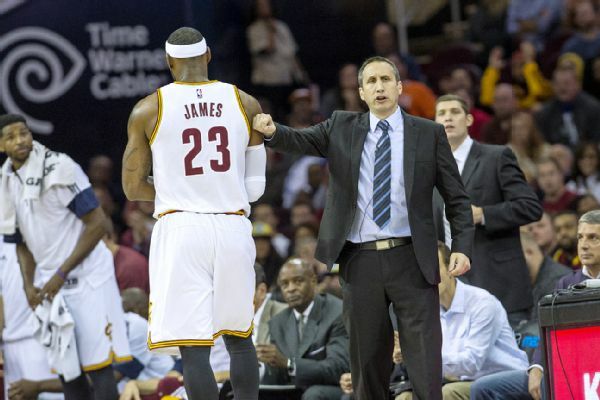 David Blatt is getting one more parting gift from the Cavaliers: a championship ring. Blatt was fired at the midpoint of the Cavs’ championship season, but the team has ordered a ring for him, too, multiple sources confirmed to the Beacon Journal. He is now the head coach of Darüs?afaka Do?u? in Turkey. Current coaches and players will receive their rings on Oct. 25, the same night the team raises the city’s first championship banner in 52 years. This is pretty standard stuff, really. Players and coaches who partake in a team’s championship season typically get offered a ring, even if they don’t finish the year with said squad. Anderson Varejao, for instance, should be offered one as well—though, as a member of the Golden State Warriors, the team Cleveland unseated, it’s not entirely clear whether he’ll accept it. To Blatt’s credit, he did coach the Cavaliers for exactly half the season, and they weren’t exactly bad. To the contrary, they posted a better regular-season record with him (30-11) than they did with Tyronn Lue at the helm (27-14). Sure, the Cavaliers are clearly better off with Lue, if only because he has something Blatt never did: The support of LeBron James. But just because locker-room morale is thriving more than ever doesn’t mean Blatt wasn’t a part of Cleveland’s success last season. He very much was.